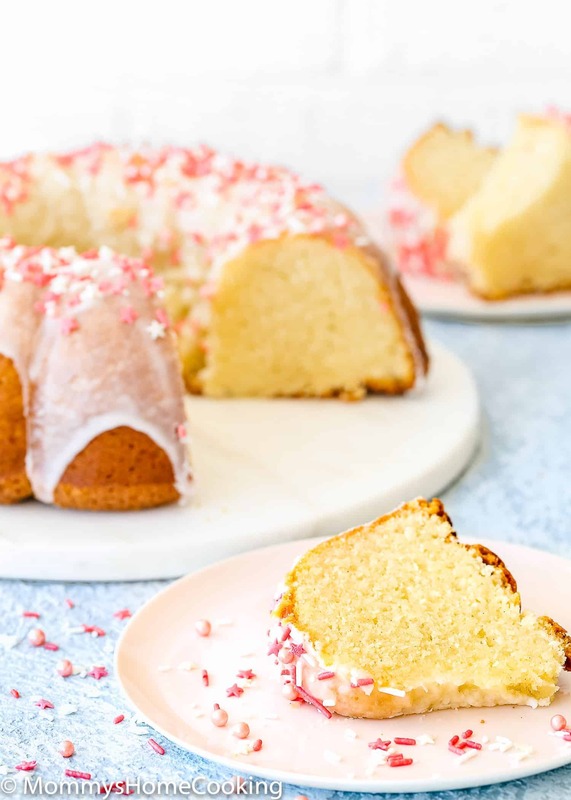 This Easy Eggless Vanilla Pound Cake recipe is easy to make, super moist, and very rich! 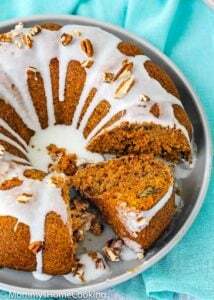 Made with simple ingredients, this fine-grained and tender cake will be a guaranteed showstopper whether you serve it. I’m back with another super easy and luscious eggless treat! 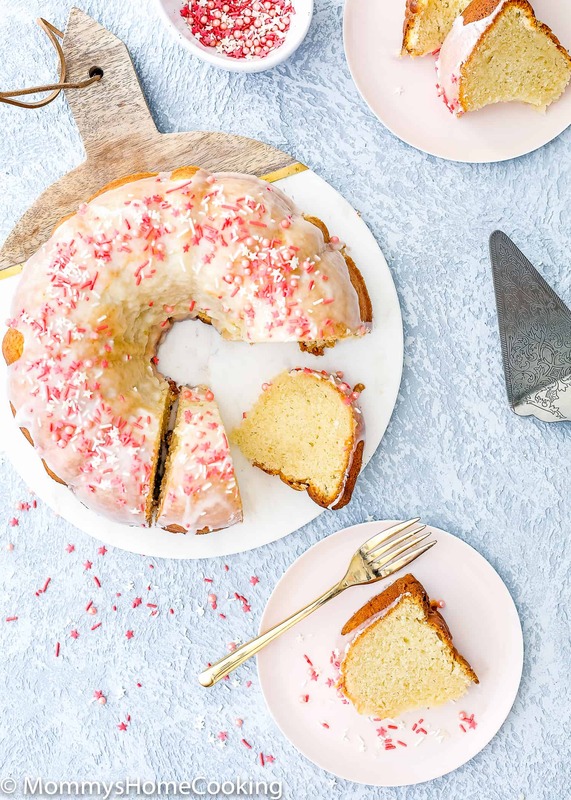 Please, meet my Easy Eggless Vanilla Pound Cake. I promise it tastes as good as it looks! I have always been a fan of pound cake. A childhood staple, for sure! 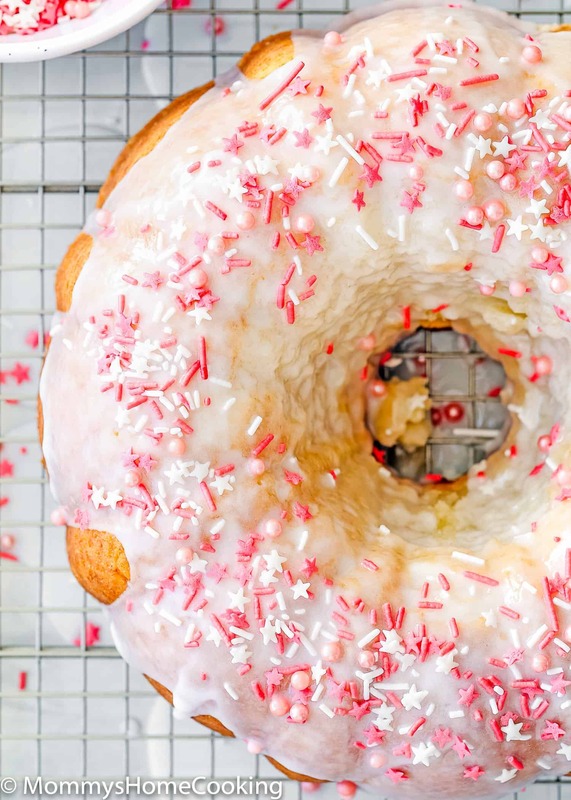 Topping it with a yummy glaze and a generous sprinkling with sprinkles really takes these into the insanely delicious zone. 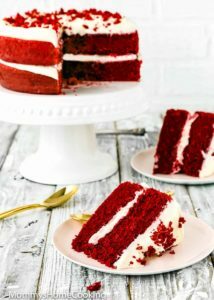 It is easy to make, super moist, and very rich! This fine-grained and tender cake will be a guaranteed showstopper whether you serve it. Everyone adores this for dessert, breakfast, or snack! 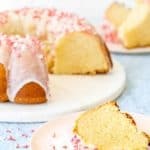 HOW TO MAKE POUND CAKE WITHOUT EGGS? Creamed butter + sugar is the base of my pound cake recipe. Instead of eggs, I use sour cream to keep the pound cake moist and fluffy. Then, add the dry ingredients: all-purpose flour, baking powder, cream of tartar, and salt. 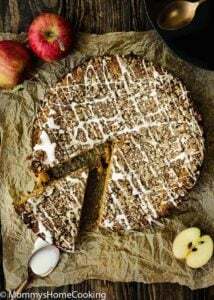 Finish it up with a splash of pure vanilla extract and bake according to recipe instructions. 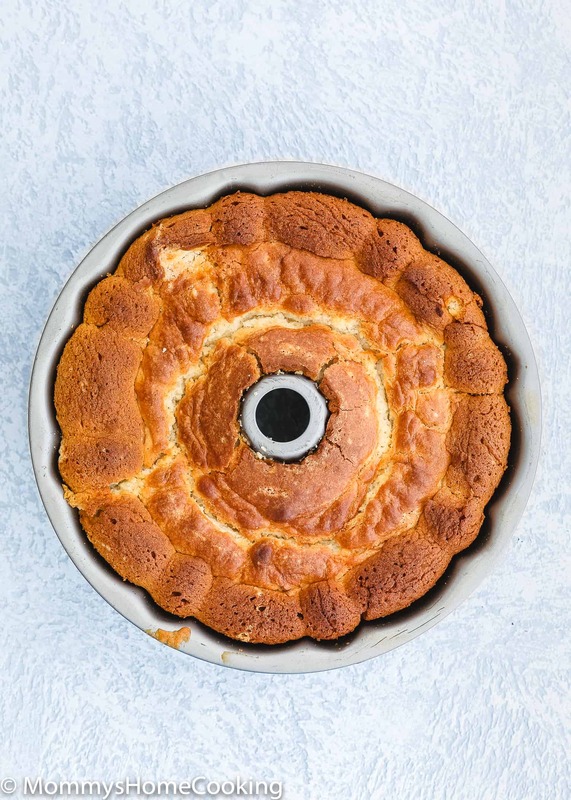 HOW DO YOU GET A CAKE OUT OF A BUNDT PAN? 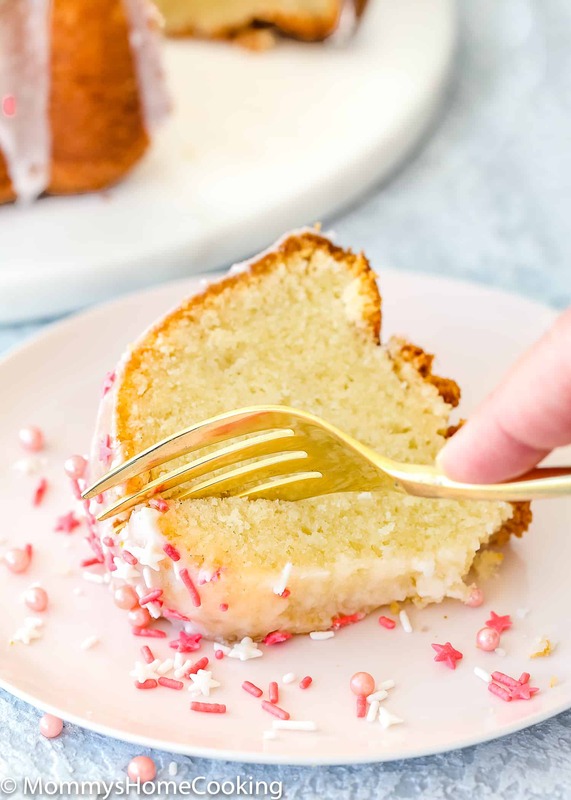 Let the cake cool in the pan for 10 – 15 minutes. Then, tap the pan firmly a few times and shake it gently to help loosen the cake. Invert the pan onto the rack, lift it off and let the cake continue to cool on the rack. Please be aware that if you cool the cake too long in the pan will cause the cake to be damp and stick to the pan. 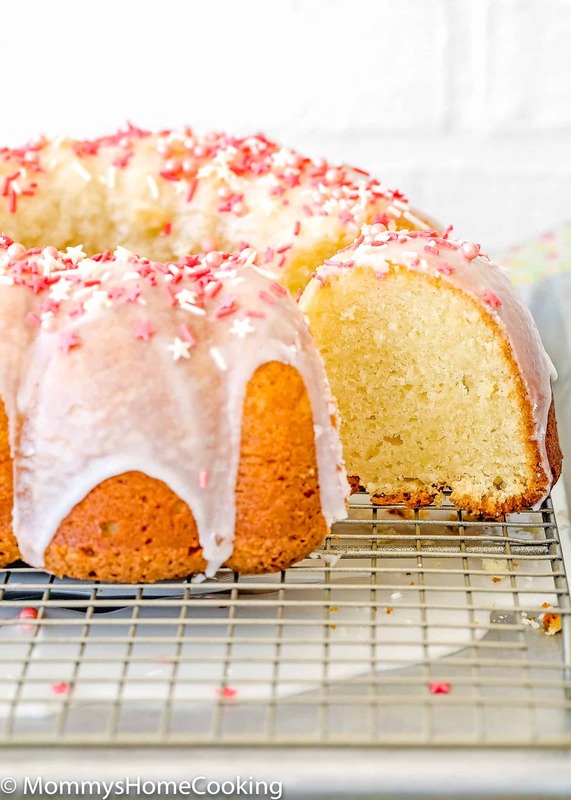 HOW DO I MAKE SURE MY BUNDT CAKE DOESN’T STICK? First, use a non-stick bundt pan. Make sure to generously spray the pan with baking spray with flour. Don’t let the cake to cool in the pan too long because this will cause the cake to be damp and stick to the pan. In my recent trip to Europe, I discovered that the flours are different there from what we use to use in America. After several testings, I found that 405 type flour, or extra fine flour, is the best substitution for American all-purpose flour. If sour cream is not available, you can substitute for plain yogurt. The consistency and texture of plain yogurts change from brand to brand, so If the brand of plain yogurt is too liquid you can strain it in a cheesecloth-lined colander over a bowl for an hour or so until it’s a bit thicker. 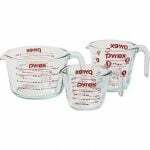 Preheat oven to 350º F. Generously spray 12-cup fluted tube cake pan with baking spray with flour. In a large bowl, sift flour, baking powder, and cream of tartar. Add salt and mix to combine. Set aside. In a large bowl, beat the sugar and butter until creamy and pale on medium-high speed. Scrape down the sides and up the bottom of the bowl with a rubber spatula as needed. Add sour cream, milk, and vanilla and continue beating to combine. Reduce speed to low and add the flour. 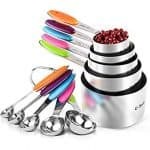 Scrape down the mixing bowl with a spatula and turn the batter over several times to ensure all of the ingredients are well incorporated. Beat just until combine. Do not overmix this batter. Pour the cake mixture into the prepared pans. Bake for 50 - 60 minutes, or until a skewer comes out clean when poked in the center. Once done, remove from the oven and allow to cool for 10 – 15 minutes inside the pan. 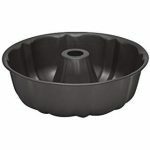 Then, invert the slightly cooled bundt cake onto a wire rack or serving dish. Allow cooling completely before slicing. 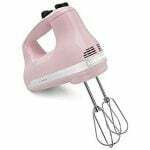 Glaze: whisk confectioners' sugar and 3 tablespoons of milk together. Add extra milk, 1 tablespoon at the time, as needed. 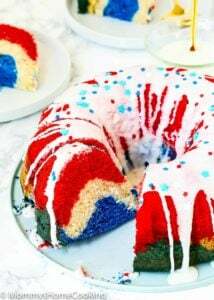 Drizzle glaze over cake, sprinkle with your favorite sprinkles, if desired, and serve. In my recent trip to Europe, I discovered that the flours are different from what we use to use in America. After several testing, I found that 405 type flour or extra fine is the best substitution for American all-purpose flour. HOW TO SUBSTITUTE SOUR CREAM?